Richmond Gymnastics is a private non-profit making Association, delivering gymnastics to over 1,800 children and young people. The Gym was formed in 1992 as the successor to Staveley Gymnastics Association which was founded in 1960. 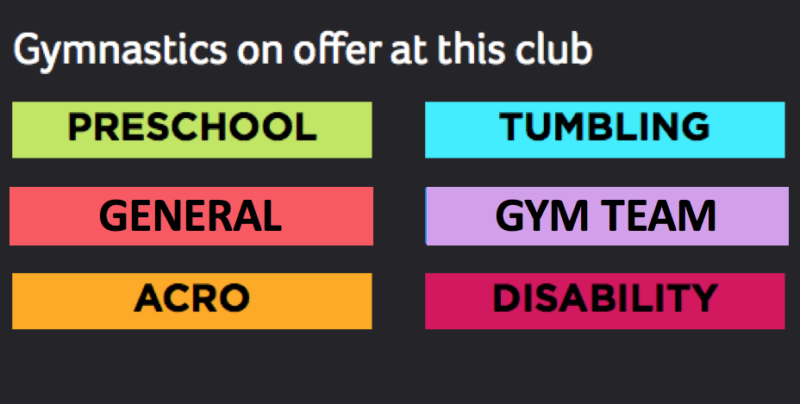 RGA is a British Gymnastics registered club, it is affiliated to London Gymnastics. The Association works to provide a community-based gymnastics programme in pursuit of excellence. RGA has consistently achieved GymMark – the Sport England kite mark of safety. All RGA coaches are BG qualified, have DBS checks, & safeguarding qualifications. The gymnasts train in the purpose-built headquarters at Kew, at five satellite centres in local schools and four leisure centres. All RGA coaches are British Gymnastics qualified, Insured and Disclosure and Barring Service (DBS) checked.